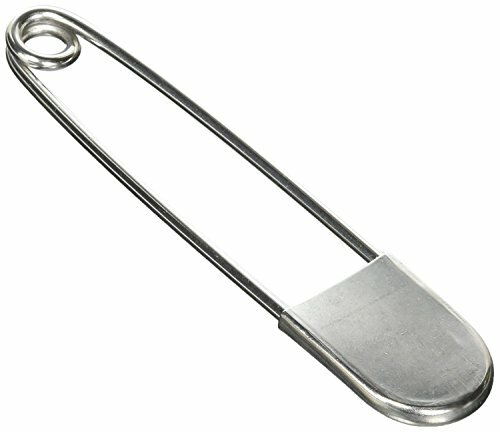 70mm/2.8" long, 0.6" width-closed, 1.8mm heavy duty spring steel. Practicable, they can pin quilts together for a warmer cover and also can pin scarf to keep it from slipping off. 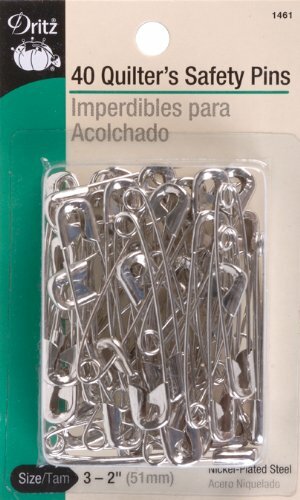 A MULTIPURPOSE PACK: Make your creative work easier in the premium convenience of this excellent craft safety pins set by Officepal! 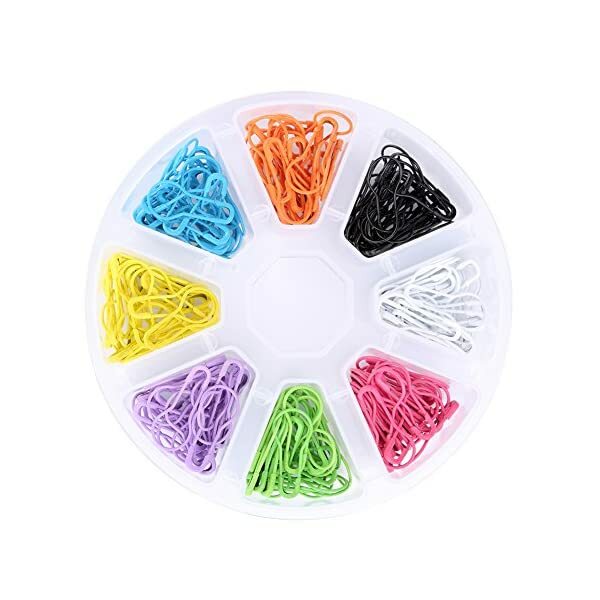 Get inspired and create your own jewels and crafts, prepare your personalized clothing items, or even organize your socks and secure your little angel's diapers with a timeless safety pins set! 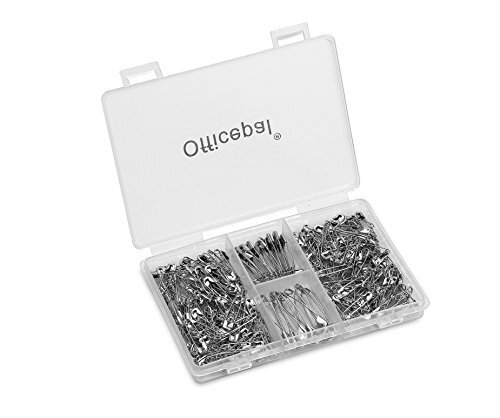 4 SIZES FOR ALL YOUR NEEDS: Our upgraded box now contains 4 DIFFERENTLY SIZED safety pins to meet all your daily needs: 0.75"(19mm) 120-count, 0.87"(22mm) 100-count, 1.06"(27mm) 20-count and 1.46"(37mm) 10-count. 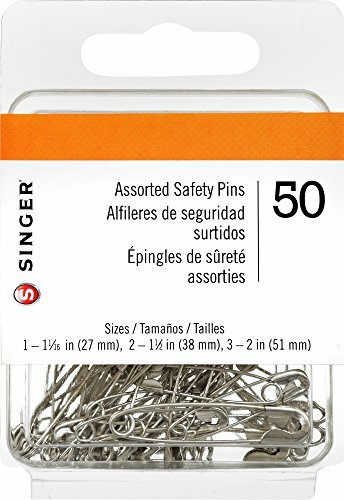 An all-inclusive pack of 250 large safety pins, which stands out on the market among competitive products for the widest variety ever! 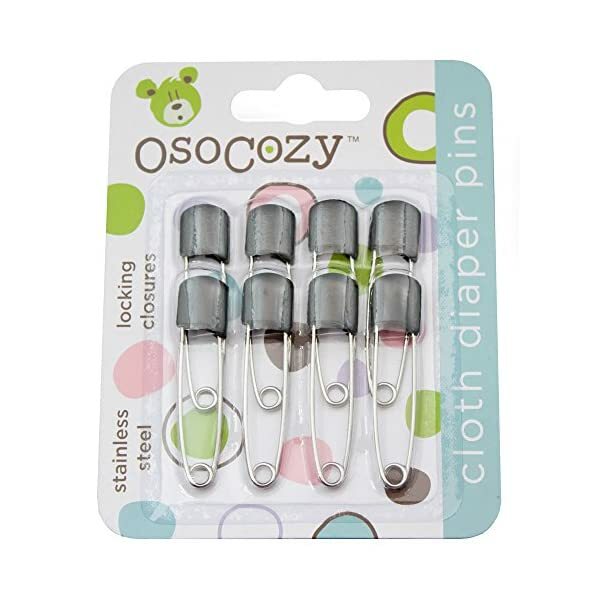 DURABLE FOR LIFELONG USE: Forget all about flimsy craft safety pins that get easily bent or rust after a while! 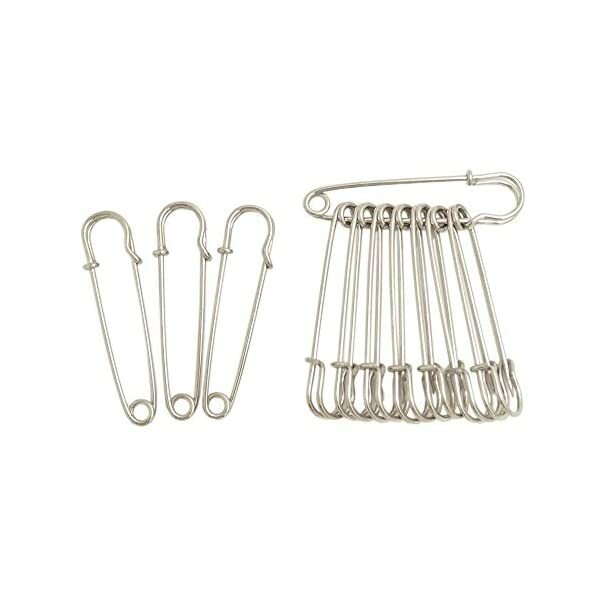 Officepal high-standard larger or smaller safety pins are made of rust resistant nickel plated steel that withstands wear and washing, to guarantee lifelong use for all your family needs. 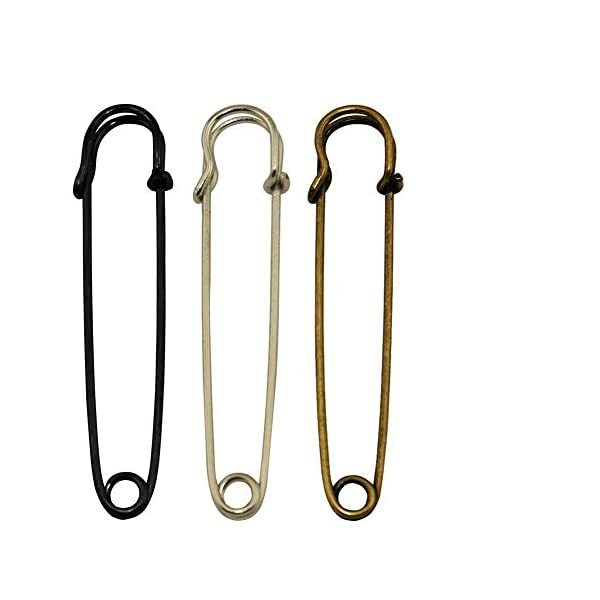 Material:This safety pins are made of quality metal, not easy to bend, hard and durable,and these pins have good shape and look so beautiful . 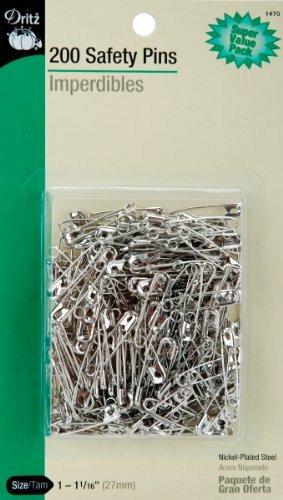 Size:Each bulb safety pin measures 2.1 cm/ 0.83 inch*1 cm/ 0.4 inch (L*W); Plastic storage box size (LWH): approx.13 x 6..5 x 2cm. 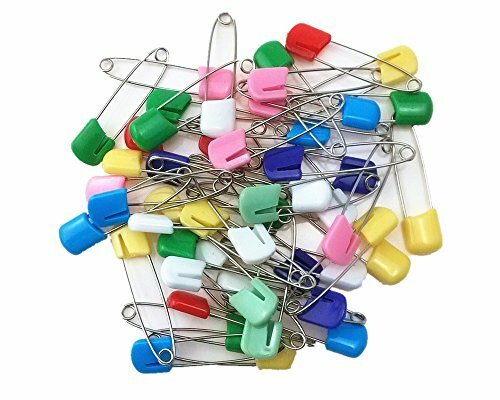 Quantity: Package includes300 pieces of clothing tag pins in 10 colors,30 pieces for each colors, these pins come with a storage box, enough for daily use and easy to store. Dozens of uses around home: sock organizers, sewing/tailoring, arts & crafts - even diapers! 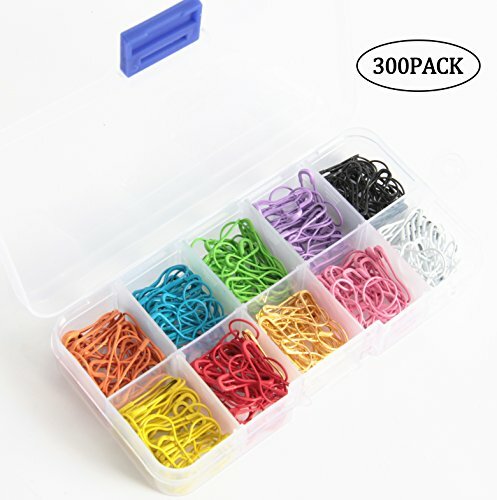 Assorted sizes: 1 and 2 1-1/16-inch to 1-1/2-inch length. Ideal for holding together layers of fabric, mending holes and other temporary fixes. 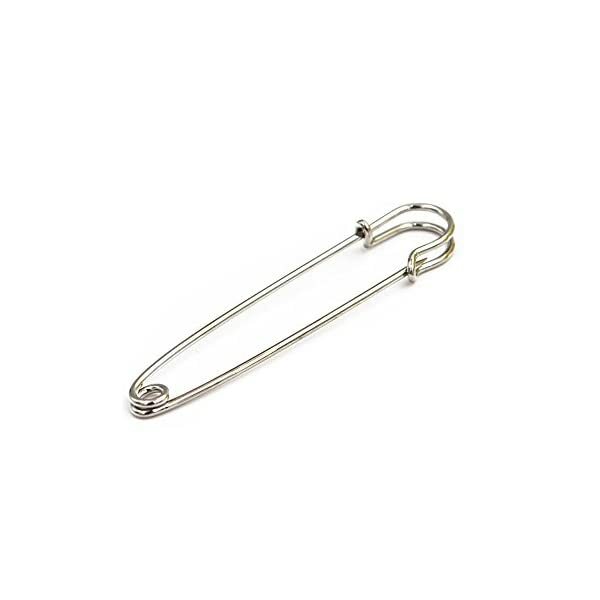 ✔[Heavy Duty]: It is a heavy duty safety pin, and it's designed to take a surprising amount of strength to open, 30 grams a piece safety pin, not suitable for normal clothes. ✔[Family Daily Use]: It's usually used for heavy duty laundry, hanging heavyweight stuffs, heavyweight material like canvas, leather, vinyl and upholstery. 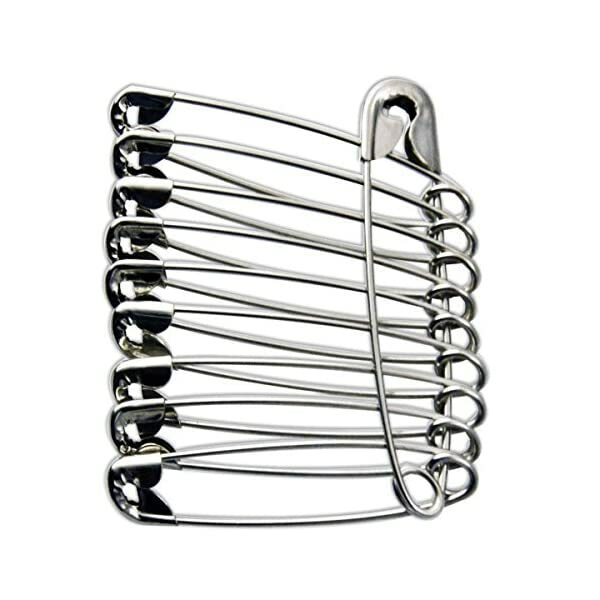 ✔[Fine material]: Made from stainless steel, which creates rustproof and sturdy pins. For baby's safety, so it was made with locking closure. 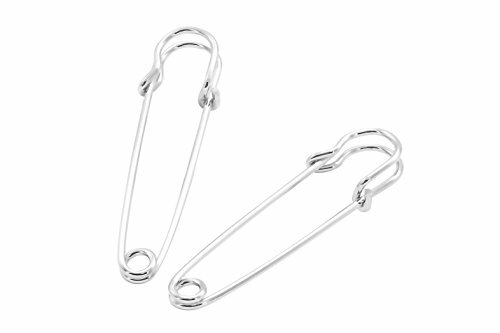 These Safety Pins are Great for birthdays, Christmas, graduation, wedding, housewarming and much more.